The Bowling Green Police Department Communications Center, also known as the 911 Center, answers 911 and non-emergency calls around-the-clock. Telecommunicators dispatch police, fire, animal control and county fire calls for our community. Communications Center personnel are also responsible for entering records into the national crime data base NCIC (National Crime Information Center). These records include wanted and missing persons, stolen vehicles and property, and domestic violence orders. 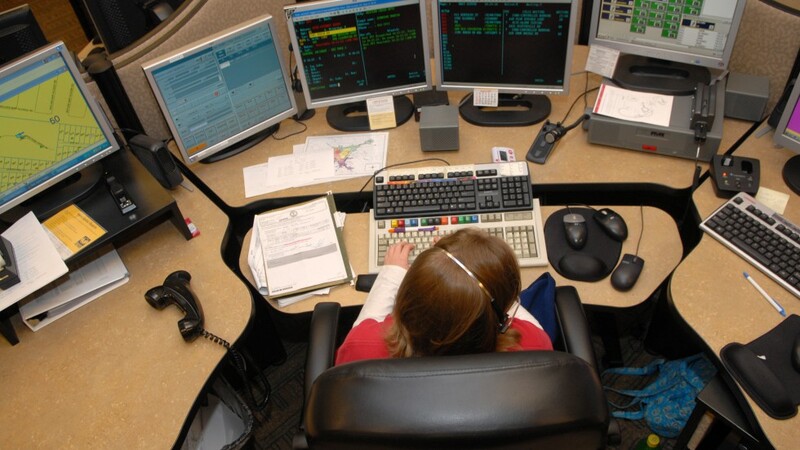 When a telephone call is received in the Communications Center either via 911 or on a non-emergency line, the telecommunicator enters the information into the CAD (Computer Aided Dispatch) system. The information is then prioritized for dispatch. The Center is equipped with the latest technology in order to maintain Bowling Green's commitment to quality service. The main components include Enhanced 911, Computer Aided Dispatch with mapping and a computerized telephone system which includes a Telecommunications Device for the Deaf (TDD). Enhanced 911 (E-911) provides Communications Center personnel with immediate address information on a land line 911 caller. This information is critical in providing immediate emergency services to citizens in need. The system allows telecommunicators to record that information immediately in case the caller hangs up before the necessary information has been gathered. If that happens, the telecommunicator can call the person back. If there is no answer, a police officer is sent to the address to investigate. If you call 911 in error, please do not hang up. Stay on the line and explain your situation. It is important that citizens use 911 for immediate public safety assistance. Non-emergency requests are handled by calling 270-393-4000. Bowling Green and Warren County's wireless 911 capability utilizes equipment, mapping and works with cell phone companies to pinpoint a caller's location. The purpose is to get help to the right place even more quickly in an emergency. A program called Computer Aided Dispatch (CAD) assists with the efficient handling of requests for emergency services. The system makes a recommendation of service units to dispatch taking into account the geographic location of the request and the availability of police and fire units. The system recognizes different call types that require the dispatch of special equipment, provides information on hazards that may be present, and provides for special information and call history. Numerous statistical reports are provided to assist management in the proper allocation and scheduling of public safety personnel. This device allows callers with hearing disabilities to seek emergency assistance without delay. Callers can access the Communications Center by typing a request which telecommunicators receive and respond to by typing replies. A serious medical emergency (chest pains, seizures, bleeding, etc.). In order to correctly assess the situation for a prioritized response, you will be asked certain questions which are vital to the safety of the caller and the responding Officer(s). When you call 911, the telecommunicator is automatically provided with the phone number and the location that you are calling from. You will be asked to verify this information since quite often individuals call 911 from locations other than where the incident is occurring. If you call 911 from a cell phone it is very important that you provide the location to the telecommunicator when using a cell phone. Although these may seem like an unreasonable number of questions during an emergency, they are very important to emergency personnel. For example, if a robbery has just occurred and the suspect flees, the officers have a much better chance of apprehending the suspect if they have a good description of the suspect and the direction that was taken. More important, if the incident in question involved a weapon, the life of the Officer may depend on the information given. One common misconception of 911 Communications is that telecommunicators wait until finishing the call before sending help. During a true emergency, the telecommunicators work as a team. One remains on the line with the caller and passes on information to another telecommunicator, who dispatches Police Officers, Firefighters or other emergency personnel. It is very important that you stay on the line during a call to 911. The telecommunicator will continue to ask you questions while the police are en route. If you call 911 by mistake, DO NOT HANG UP. Stay on the line and explain that you do not actually have an emergency. If a caller to 911 hangs up without stating the problem, the caller may be contacted in order to ensure that no actual emergency exists. This may involve the dispatching of a police officer to your home or place of business in order to ensure that a problem does not exist. If I need the police, but it's not an emergency, what number do I call? Please call 270-393-BGPD (2473) for information requests or to speak to specific police personnel.